In some ways, the iPad Air is better than the Pro. The new iPad Air is a monster. It’s practically as powerful as the top-of-the-range iPad Pro, but costs around $300 less. 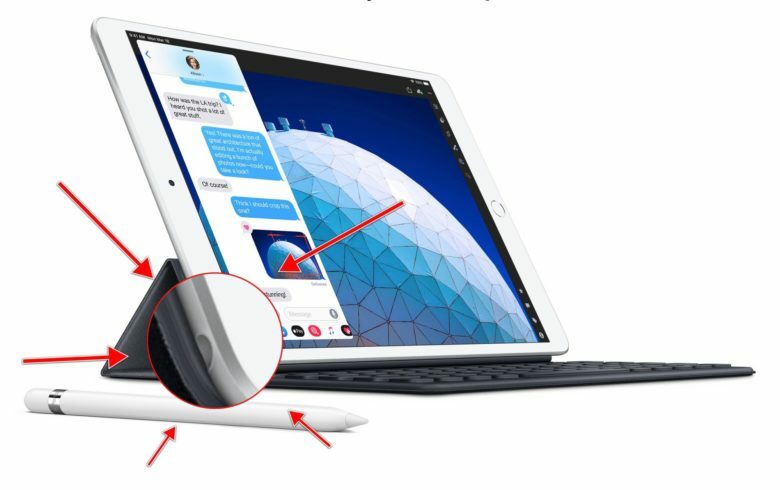 You lose a few features — the magnetic Apple Pencil 2, ProMotion, etc. — but for most people that probably doesn’t matter. In fact, the new iPad Air is so good that it’s probably good enough for most people. And for some folks — professional musicians, for example, or people who hate headphone dongles — it’s even better. I have the 13-inch iPad Pro, and I love it. Face ID means I can use it almost without thinking about unlocking it, especially when it’s on a stand on the desk. I also love the shape of the Pro, with its handsome chiseled edges and skinny bezel. For many people, the Pro is the right choice. And if you want a 13-inch Apple tablet, you have no choice. But the new iPad Air is pretty killer, and packs more than enough punch for most people. And, on the other hand, if you want a pocket-size iPad, your only choice is the new iPad mini. That’s a long-ish list, but there’s not really anything essential on there. ProMotion, which “delivers refresh rates of up to 120Hz for fluid scrolling, greater responsiveness and smoother motion content,” according to Apple, is lovely to have, but not essential. And the new iPads have True Tone, which Apple says “makes the images on your Retina display … appear more natural.” True Tone really is essential once you’ve tried it. The new Apple Pencil 2 is nicer than the original, but in use the only difference is the double-tap shortcut. Whether you need an LED Flash, or Portrait Mode selfies, or four speakers, is up to you. Ditto extra RAM. More RAM is nice to have, but unless you have a vital use-case where more RAM is essential, this too is a wash. In short, the iPad Pro packs in enough extras to justify the price tag, and it uses the latest shape, instead of updating the old one. But none of those extras is really essential. There’s nothing the iPad Pro can do that the new iPads Air and mini can’t — apart from Face ID and Animoji. The new iPads Air and mini, then, are more than good enough for most uses. Artists and designers get the incredible speed of the A12 Bionic chip, which is only slightly less capable than the A12X Bionic in the Pro line. (The A12 Bionic has six cores versus the A12X Bionic’s eight, and the A12X packs a beefier GPU. But they’re both 7-nanometer chips, and both benefit from Apple’s M12 Motion co-processor and a Neural Engine. They’re both beasts.) Plus, you can use the already-great original Apple Pencil. Musicians will continue to be more limited by software than by hardware, and can continue to hook up their USB audio gear via a Lightning-USB adapter. Like everything else, the new Apple Pencil is better. And there’s one big advantage that the older iPad design has over the new, skinny-bezel iPad Pro: a headphone jack. Yes. If you want Apple’s powerful A12 Bionic processor, and you don’t want to dicker with dongles, or would like to be able to just plug in any old headphones while still charging your device, then you have only one choice — these new iPads. I understand that the slim-bezel design of the Face ID iPhones and iPads means there’s no space for a headphone jack, but there are so many times that I just want to plug in a speaker, mic or headphones, it drives me nuts. So, which iPad should you get? Only you know the answer to this question. Are the extra features on the Pro worth another $300-plus to you? Are you happy to pay extra for a cooler-looking iPad? Do you want a mini or a 13-inch iPad? 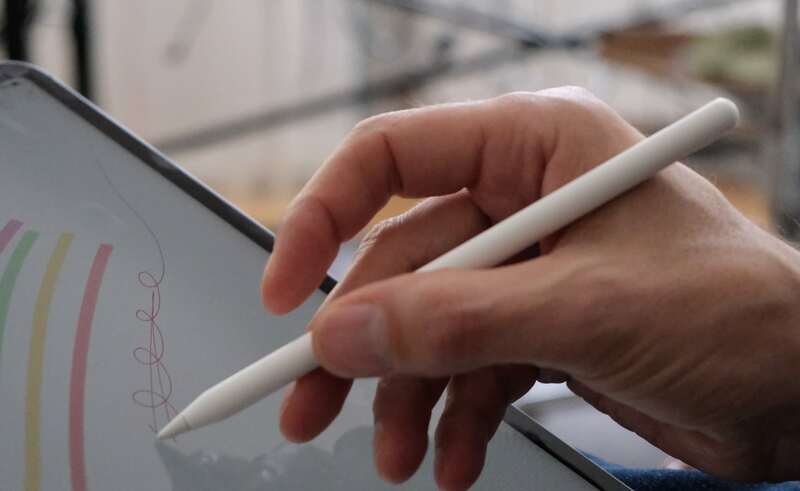 Do you need the extra features of the Apple Pencil 2? It’s these rather personal differences that will make the decision for you. The neat part is that, whichever model you pick, you get one of Apple’s powerful A12 chips, so you won’t suffer when it comes to performance. It’s pretty wild that the pocketable iPad mini is as capable as the biggest iPad Pro. And in some ways, that makes this confusing choice a lot easier.